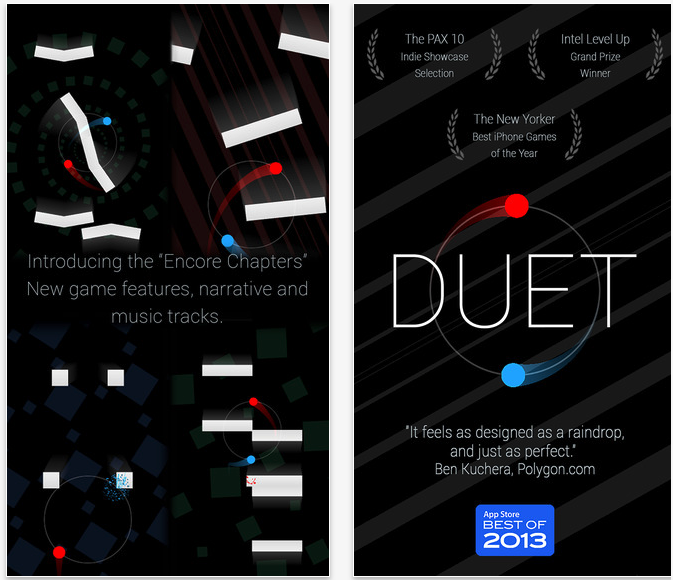 Duet Game by Kumobius is Apple’s free app of the week. The game normally retails for $3.49 and is free for this week only. Enter a mesmerizing trance of co-dependence in Duet. The rules are simple: control two vessels in sync, survive against all odds and keep calm. Experience nine chapters of deceptive narrative and nerve-twisting gameplay. Unlock the bonus Survival chapter for endless score chasing delight. Replay any stage to perfect your movements and unlock over 25 Game Center achievements. With air tight controls and gameplay that’s tuned to perfection Duet provides the perfect balance between challenge and pure gaming satisfaction. Touch either side of the screen to twist your vessels and avoid everything in your path. 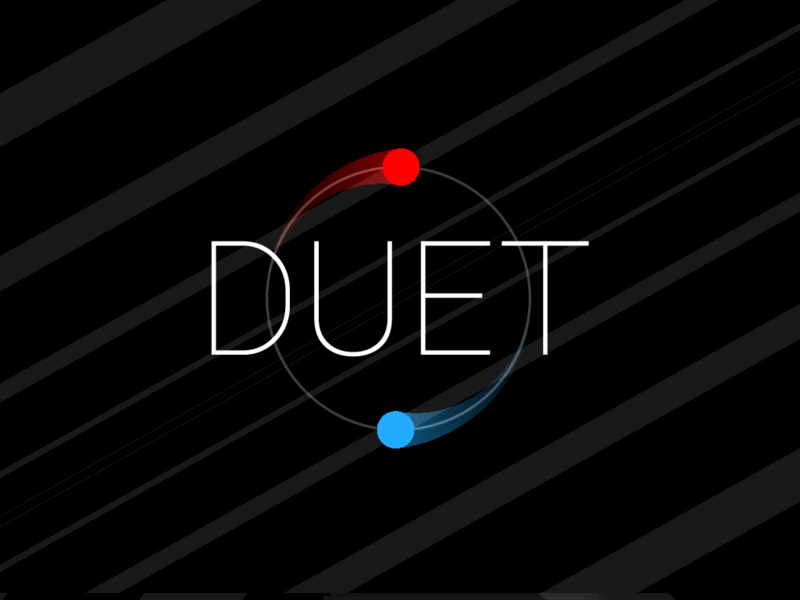 Duet Game is available as a free download (normally $3.49) from the App Store. 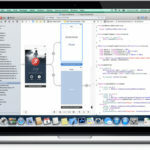 The game requires any iOS device running iOS 4.3 or later, and it has been optimized for the iPhone 5, 6, and 6 Plus. The game has in-app purchases that cost around $1.19.